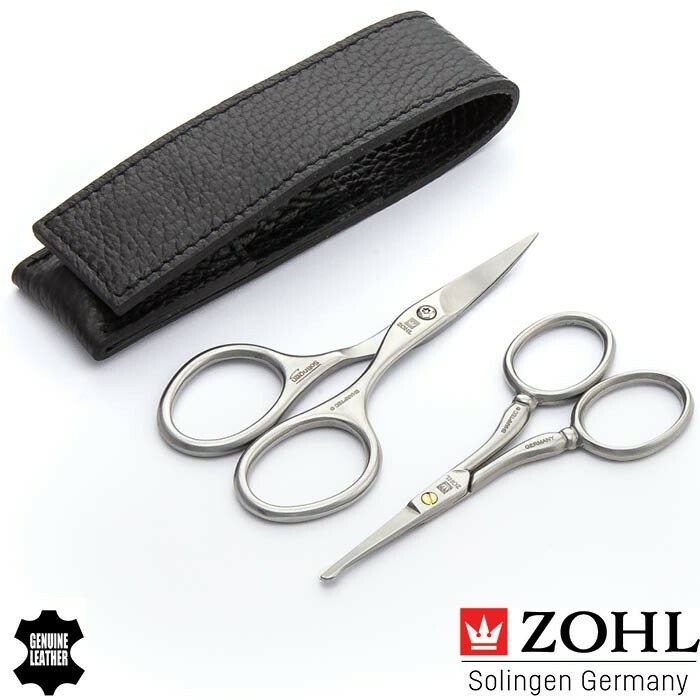 For the lovers of the best German scissors to keep your nails and facial hair well maintained, the Magneto Solingen scissors set is a rare find. 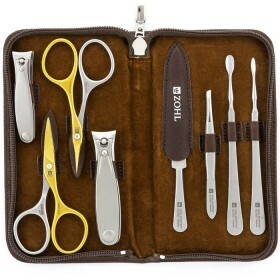 Complete with professional stainless steel nail scissors and rounded ear & nose hair scissors, the set is guaranteed to give you long lasting sharpness of the cutting edge. 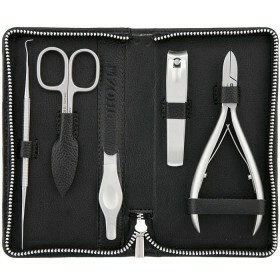 Meticulous hand craftsmanship means you will enjoy clean and easy nail trimming, as well as painless trimming of ear and nose hair scissors for many years ahead without any need of sharpening. 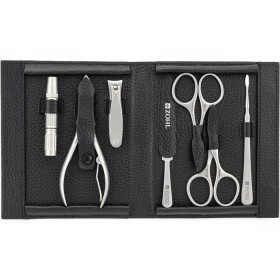 The scissors handsomely nestle in the luxury black leather case and make a perfect small grooming kit for a man who trusts his look only to the best grooming tools. 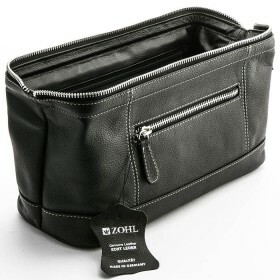 Whether as as bathroom grooming set or a travel kit for men – the Magneto by ZOHL represents the highest quality mens gift set made in Solingen, Germany for the man of good taste. 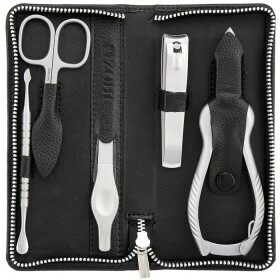 Solingen craftsmanship by master artisans has long been renowned for unparalleled durability, precision and sharpness when it comes to the world's best manicure and pedicure sets, knives, blades and other cutlery. 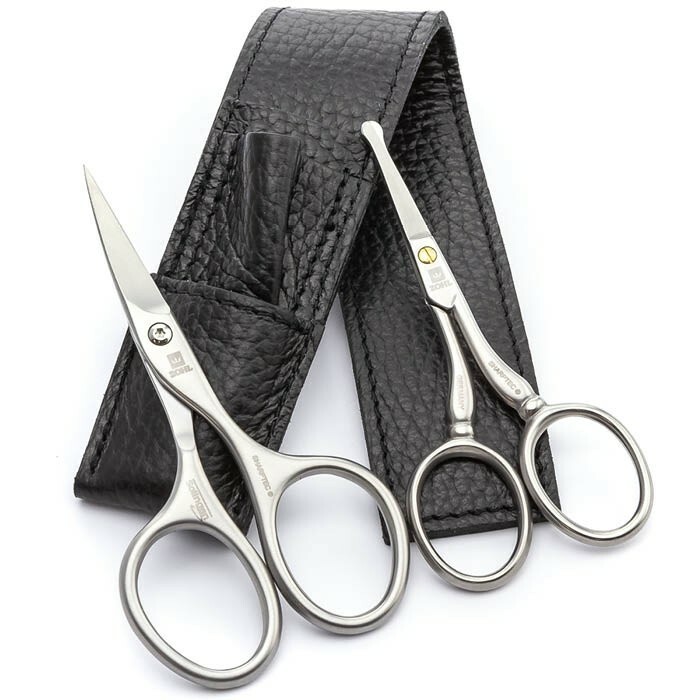 Hence, the Solingen scissors in the Magneto are made to give you long lasting service and impeccable trimming abilities. 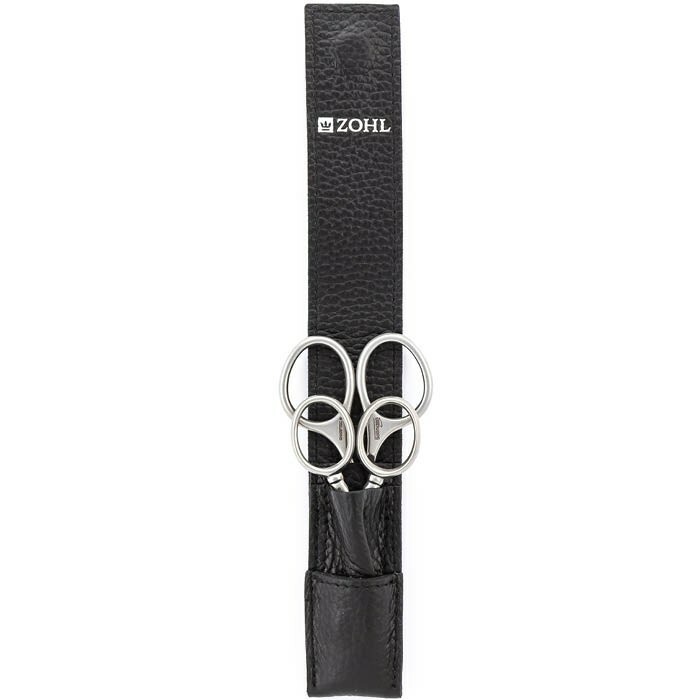 Like all SHARPtec nail instruments by ZOHL, the scissors in this set are made of specially hardened surgical steel and delight with continuing sharpness of the blades for neat and smooth trimming. Rust proof and very strong, stainless steel keeps the cutting edge sharp, making the Magneto the best mens grooming gift set for any occasion: Christmas, Birthday or Father's Day. 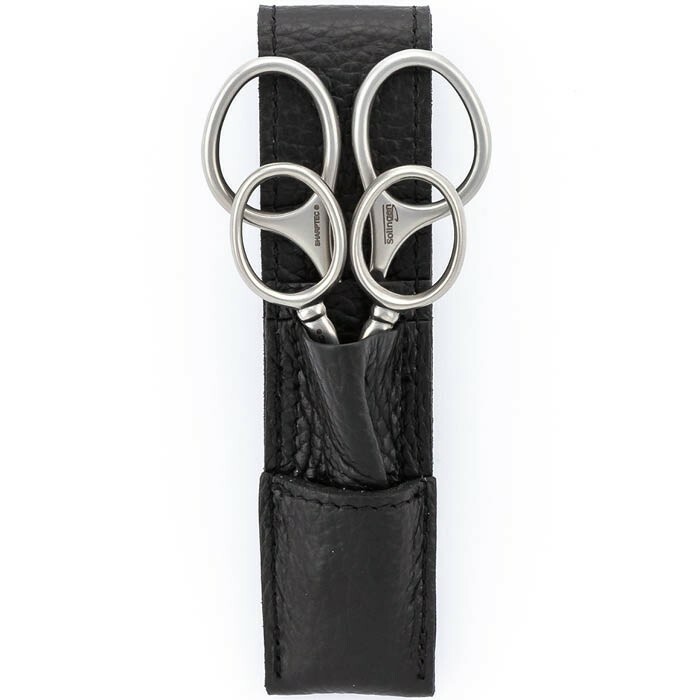 Solingen Classic Ear & Nose Hair Scissors (9cm) with molded grips and rounded tips for safer hair trimming in sensitive areas of nose and ears. 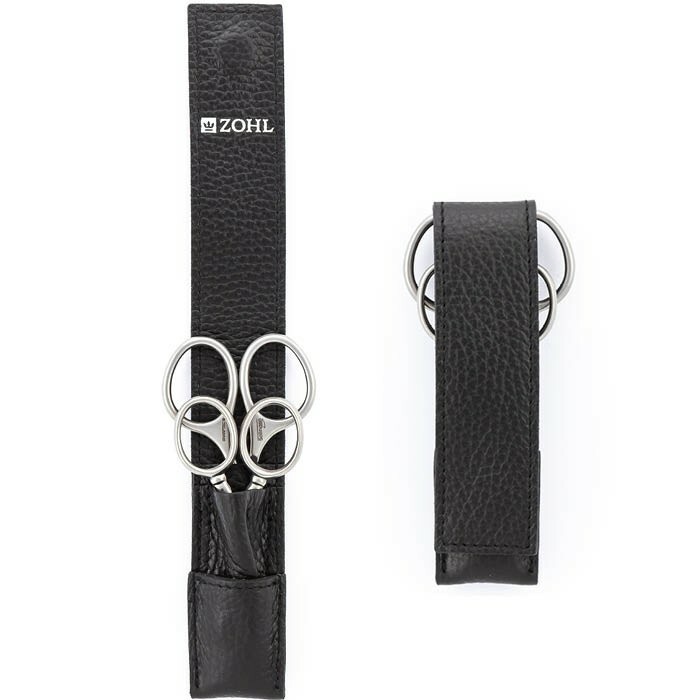 The German scissors are protected in individual pockets of the luxury black leather case, lined with premium cowhide on the interior and exterior. 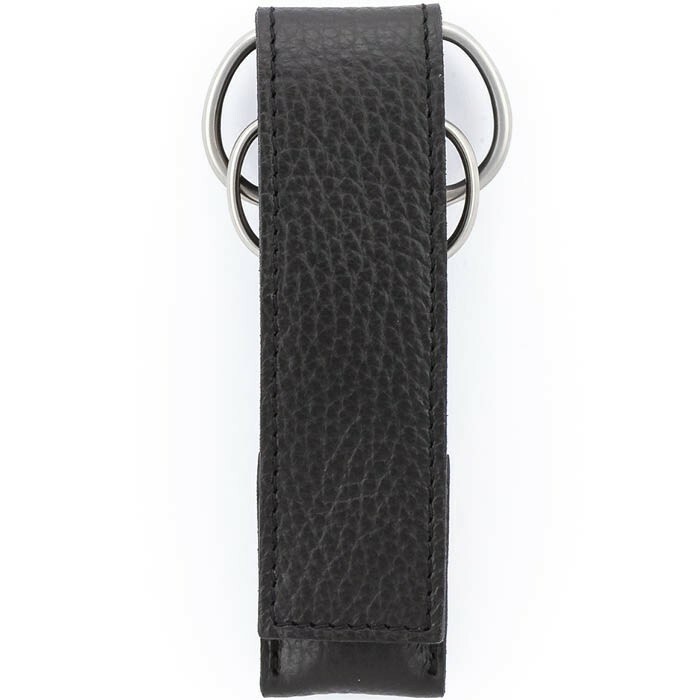 Sturdy magnetic closure adds a masculine character and makes it a perfect gift for a man who likes the best things in life.